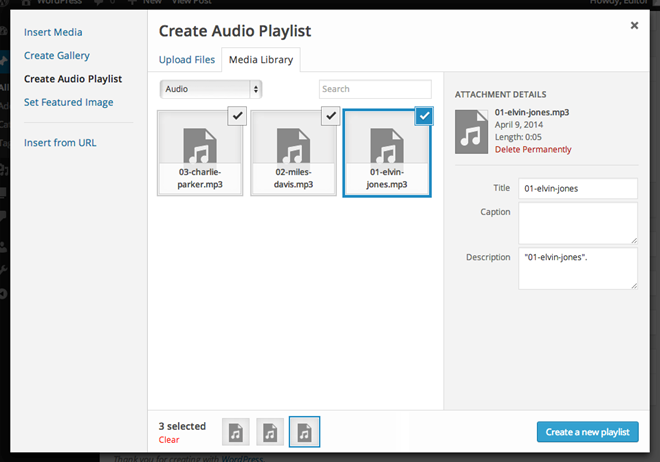 To create a audio or video playlist, simply start by adding audio files to your media files as explained above. Audio and Video files are treated in the same way as image files. Click on Create Audio Playlist. Then select the audio files you want to be part of the playlist. Then click on create a new playlist, and you can now reorder the tracks. After you are happy with the order of the tracks click insert audio playlist. 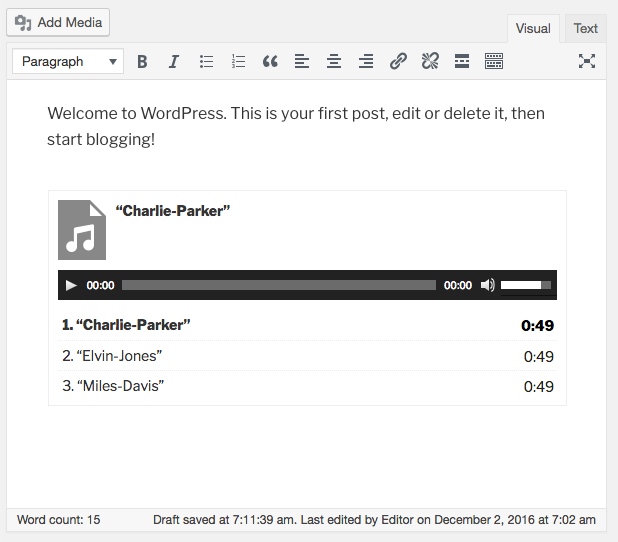 The playlist will appear when you publish your page.